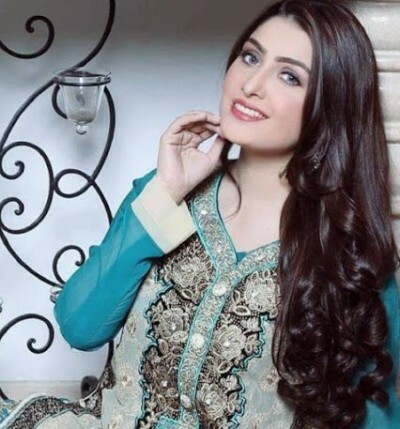 Ayeza Khan is the leading and most popular actress, who has performed many roles in different drama serials. 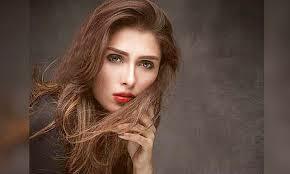 She started her career in the entertainment industry at the age of 18 years and she performed the supporting role in the drama serial, Tum Jo Miley that was aired on Hum TV. After performing in many drama serials, she started performing the roles as the leading actress in Geo TV drama serial, Tootey Huwey Per in 2011. After performing in many drama serials, she established herself as the most popular actress in Pakistan and she performed in drama, Aks in 2012, romantic drama, Kahi Unkahi in 2012 and Adhoori Aurat in 2013. She also performed in the family drama serial, Mere Meherbaan in 2014 and the tragic romance, Tum Kon Piya in 2016 and she got so much popularity. The social drama serial, Pyarey Afzal took her to the height of fame and she earned the critical acclaim and she won the Best Television actress in Lux Style Award. Her style is stunning and it grabs attention of others she is now awfully busy in performing in her many projects. She takes cereal with milk, yogurt and coffee with milk in her breakfast. At the lunch time, she likes to have sandwich with salad, chicken and any one fruit. She likes to eat more fruits and vegetables. She likes to drink two glasses of water before taking lunch. She likes to eat chicken with roti and she also likes vegetables fried in olive oil.